If your team is dysfunctional; your unit or organisation is facing a difficult change process; you are struggling in your collaboration with other organisations; your self-confidence is low, and you are unclear where you want to go and how to get there? We can help you if you are ready to address the situation. Wherever you are will be the entry point. We draw on techniques from Partnership Brokering, Being-at-Full Potential, Organisational and Relationship Systems Coaching, Appreciative Inquiry, and Mindfulness-in-Action, to create the positive atmosphere and energy that will allow you to find your way out of the impasse towards a brighter situation. Mentoring is on-the-job accompaniment, of individuals or teams, to guide and support their learning-by-doing. More effective but more time consuming than a training session. Unlike mentors, coaches do not provide guidance and do not demonstrate how something can be done. They believe that the answers are within individuals or teams and help them discover those by asking questions and creating the space for their discovery and decision. Design & develop and (co-) deliver an entire training or contribute to yours with particular sessions. On different thematic aspects of conflict reduction and peace work, and governance improvement. Learning events can be in other formats than ‘training’ – the most common being the ‘workshop’. But many events or tasks (participatory analysis, reviews, evaluations, partnership discussions etc.) can and should be turned into learning opportunities. Human resource development: cross-sectional communication and collaboration, effective teams, an enabling and motivating atmosphere and culture, positive leadership. I would say that you are really insightful. you have a unique way of helping your clients to find solutions to their own challenges. Further, you have a talent in healing them to have confidence in their own unique qualifications and abilities. Despite having worked in non-government sector over many years, I have not had a chance to fully comprehend how to grow professionally and felt somewhat hopeless sometimes. 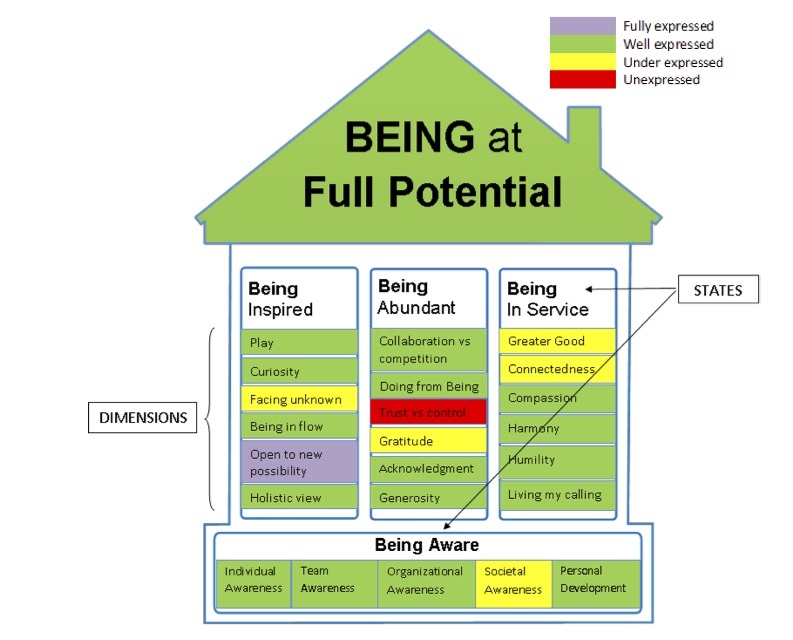 The Human Potential Assessment results gave me a brutally honest picture of where I am right now. The outstanding thing about the tool is it gave me not only clear diagnosis of current status but helped me to vision what I can achieve. (Those arrows and colour panels are so useful!) Having coaching conversations with Smruti was another step to own my present and future.